These are the second pair of waterproof steel-toe boots I have restored my 1890’s rowhouse with for seven years. On my most strenuous days, they are the first protective gear I put on and the last thing I take off. 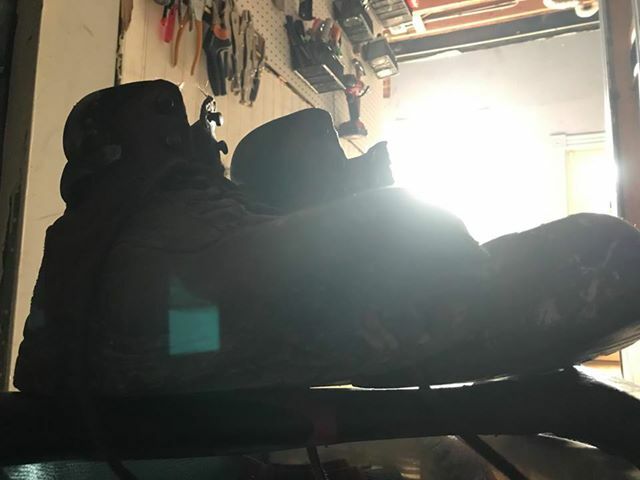 They allow me to focus on the complex problem solving skills a house restoration demands, without having to worry for a second about the safety of my feet. They allow me to take the chances I want to take, without a second thought. They help me take on every challenge, like a flooding warehouse full of architect artifacts, with grace. On my toughest emotional days, I can strap into these and feel like a restoration superhero.